Real-time payments, digital, AI and Open Banking are all the buzz within the corporate banking world. And the importance of being able to offer these services has never been greater. To more clearly understand the impact and needs for these developing technologies, Ovum and Temenos partnered to undertake a major research project in Q2 2017. 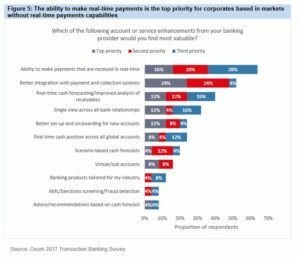 This survev looked at the different priorities, perceptions and plans of both corporates and banks in countries that have implemented real-time payments and those that have yet to do so, asking them questions related to not only real-time payments, but also liquidity management while touching on their Open Banking and AI needs and plans. Ovum interviewed 100 corporate treasurers globally to understand the current dynamics and pain points of their role in 2017/18 as well as their requirements around new services from their bank partners. In parallel, and to understand the degree to which corporate banks understand and are aligned with these needs, Ovum also surveyed 100 corporate banks to gain insight into their own investment and product development roadmaps. 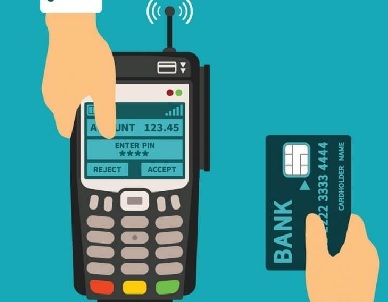 Where real-time payments has already added value to corporates? 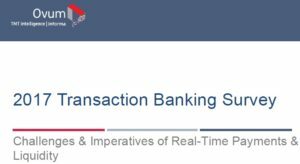 What level of financial crime risk real-time payments exposes to banks? Which top challenge for corporates has risen from 1% in 2016 to 13% in 2017? How many corporates are now willing to change service provider vs 2016? What are corporate banks views on the impact of open banking? What AI techniques corporate banks will be offering in the next 18 months?